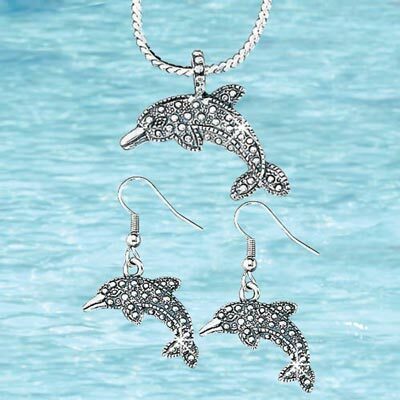 This Dolphin Jewellery Set is ispired by nature and crafted by hand of gleaming metal. 16"l with 1¼"w pendant. Earrings, French wires, approx. 1½"l. Hurry! Quantities are limited!